Earlier this week, the DC Council passed “one of the nation’s most generous” paid family leave policies. As I’ve written previously, these policies improve a child’s cognitive, social, and emotional development, which in turn improves a child’s lifelong academic achievement. Paid leave also increases infant health since it increases the likelihood of early childhood checkups and immunizations. 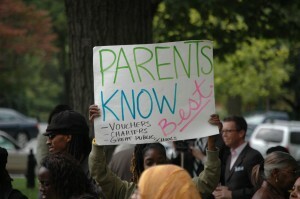 But DC’s policy can hardly be viewed as an adequate amount of time to best foster child development. 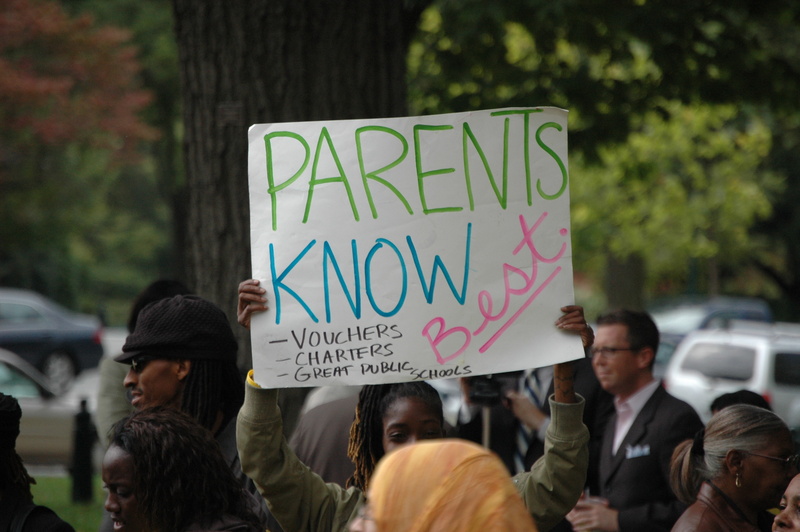 While DC’s policy marks important progress for the District’s children, the policy can only be deemed one of the country’s most generous because American policies are anachronistic and backwards. We are the only industrialized nation with no federal law mandating parental leave — other Organisation for Economic Co-operation and Development (OECD) countries offer an average of thirty six weeks. It’s easy for any new policy passed by a US municipality or state to be deemed “generous,” “cutting edge,” or “revolutionary.” At this rate, a state mandating a week of paid family leave could be deemed generous — even though such a policy would have minimal impact on young children and their families. The original DC proposal would have offered sixteen weeks paid parental leave and was therefore viewed as groundbreaking. The Council ultimately passed a bill providing only eight weeks of leave, but despite this, news coverage nonetheless focuses on the generosity of the plan. Sure, the eight weeks provided by the DC bill is more than the six weeks passed by the San Francisco board of supervisors in April (which was also deemed at the time the “most generous family leave law”) or the four weeks provided in Rhode Island. And the 90% of pay provided under the DC plan (capped at $1,000 a week) is more generous than New York State’s plan to provide 67% of an employee’s pay. 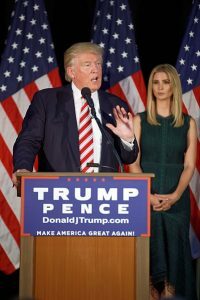 Others view DC’s plan as generous because it offers leave to parents of both genders, as opposed to, for example, the six weeks offered to pregnant mothers in PEOTUS Donald Trump’s proposed child care plan. But all of these offerings are less than the amount of time recommended by doctors — at least twelve weeks, but preferably twenty four weeks. And they pale in comparison to international norms. Parents in Korea are offered 52 weeks of paid leave. Parents in at least 16 countries receive such generous leave policies they can be measured in a larger metric: a year. How did the US come to be so backwards when it comes to leave policies? By World War II, almost all developed countries offered working women some form of paid maternity leave. The US remained an outlier. For decades, Democrats sought to pass a paid parental leave bill. In 1993, they settled for the Family and Medical Leave (FMLA), which provides up to 12 weeks unpaid family leave for employees to care for seriously ill family members or the arrival of a child. This federal law only applies to employees who work at companies with 50 employees, and on top of that, many workers are unable to take advantage of the law because they cannot afford to do so. Family leave advocates viewed the FMLA as a starting point but have been unable to expand the law in the intervening fifteen years. As a result, paid family leave has come to be viewed as a political pipe dream. But in the last few years, at the local and state level, things have begun to change. One reason for this — besides the lack of a workable federal approach — is an Obama Administration Department of Labor program which provided federal grants to help cities design paid family leave proposals. 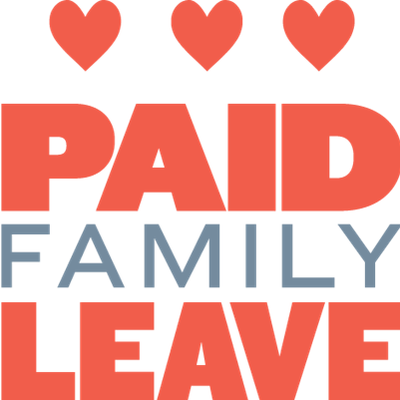 We should continue to celebrate any and all state and local efforts to guarantee paid family leave. But conversations about our country’s progress must consistently acknowledge the truly antiquated nature of our current approach to parental leave. Only 12% of workers in the U.S. have paid family leave, and less than half of US companies offer paid leave. Access is largely determined by income. You know who actually provides the most “generous,” “cutting edge,” and “revolutionary” family leave policies? Tech companies such as Adobe, Amazon, Google, Etsy, Microsoft, Netflix, Spotify, and Twitter; the credit card company AmEx; and the Swedish-based company Ikea. Netflix offers up to a year of leave. In March, Etsy announced a plan offering twenty six weeks of paid leave to parents of either gender. A week ago, AmEx announced that it will offer twenty weeks of paid leave to parents of either gender. Earlier this month, Ikea announced that it will offer sixteen weeks paid parental leave to American employees of either gender. Ikea’s policy is notable because it provides the same benefits to salaried and hourly workers, whereas most corporate policies only apply to high-skilled employees. This inequality is exactly why we need government laws to mandate paid family leave. 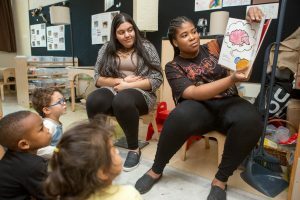 If the policy goes into effect (Congress can override it), DC will be one of the few “states” to offer both paid leave for employees and universal pre-k to all three and four year olds — demonstrating a true commitment to serving young children and their families. 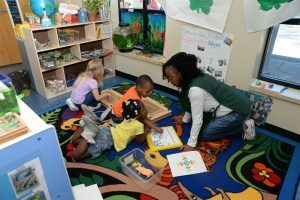 Together these two critical early childhood policies could improve the academic achievement and life outcomes of an entire generation of children. This entry was posted in Early Childhood Education, Uncategorized and tagged DC4PaidLeave, early childhood, FMLA, paid family leave on December 23, 2016 by Marnie Kaplan.